We are a strictly non-profit, volunteer-run organization devoted to rescuing primarily purebred Boston Terriers and secondarily Boston Terrier mixes. Volunteers are devoted to the health, well being and future of each dog. Below is a list of all the aspects involved in rescuing these dogs. We can use assistance in any or all of these areas. Once your application has been received, you'll be invited to join our Facebook Group. BTRNC cannot operate without foster homes. The fewer foster homes available, the fewer dogs we can save. Foster families agree to accept a dog into their home as one of their own, take it to the vet for any needed medical treatments (with the cost paid for by us! ), nurture the dog, and get to know the dog well enough so BTRNC can write an accurate bio on the dog. You will find out, to the best of your ability, if the dog does well with other dogs, cats, children and adults. You'll report the dog's quirks, likes, dislikes and anything else someone would want to know about one of our dogs before choosing to adopt it. If this is something you are interested in, PLEASE don't hesitate to submit an application. BTRNC pays all veterinary expenses for each of its foster dogs. For more information about becoming a foster, please see our Frequently Asked Questions. When a dog comes into rescue, we must arrange transport to the BTRNC foster home. We also help transport dogs to their new forever homes. We are always in need of individuals who can help with transports. We need volunteers who can do home visits in their areas. A home visit involves visiting an applicant's home to meet the family after their application has been successfully processed. We are looking to see that what the family has told us about their family, yard, and lifestyle is true. We also want to meet existing pets to give us a better idea of which of our Bostons would do well in that home. Because BTRNC is a non-profit organization, we rely on the generosity of our supporters to help us accomplish our mission of rescuing Boston Terriers. If you are creative, crafty, or just don't mind lending a hand to help out, we could use you in the area of fundraising! Volunteers organize fundraising events, search out new fundraising opportunities, set up BTRNC information booths, and help staff events where BTRNC is represented. The possibilities are endless! We are also always looking for individuals with skills and experience in grant writing, financial/tax management, graphic design, web design, marketing, etc. If you have a skill that might be useful to the rescue, let us know! Boston Terrier Rescue of North Carolina is dedicated to rescuing, rehabilitating, and finding new adoptive homes for Boston Terriers surrendered by private owners and obtained from shelters, humane societies, and animal welfare organizations. Our coverage area includes North Carolina, South Carolina, Virginia, Georgia, and Maryland. 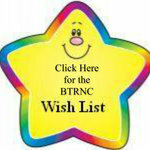 BTRNC is a 501(c)3 non-profit organization. Please use the Family & Friends option when sending funds to us. By doing so, BTRNC receives the entire amount of your donation. Please note that PayPal will charge you a nominal fee when using this option. Looking for a meaningful and lasting gift for a Pet Lover? 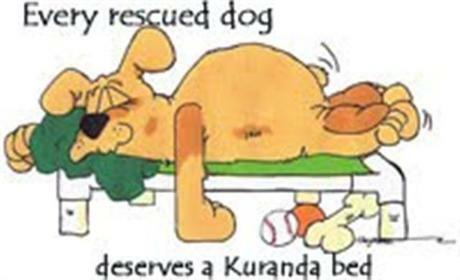 Donate a Kuranda dog bed to one of our rescued Boston's in the name of a friend or family member. A personalized card will be mailed to them so they will know about the wonderful gift you have donated in their honor! Thanks to Pet Meds for providing pet supplies to pets in need!